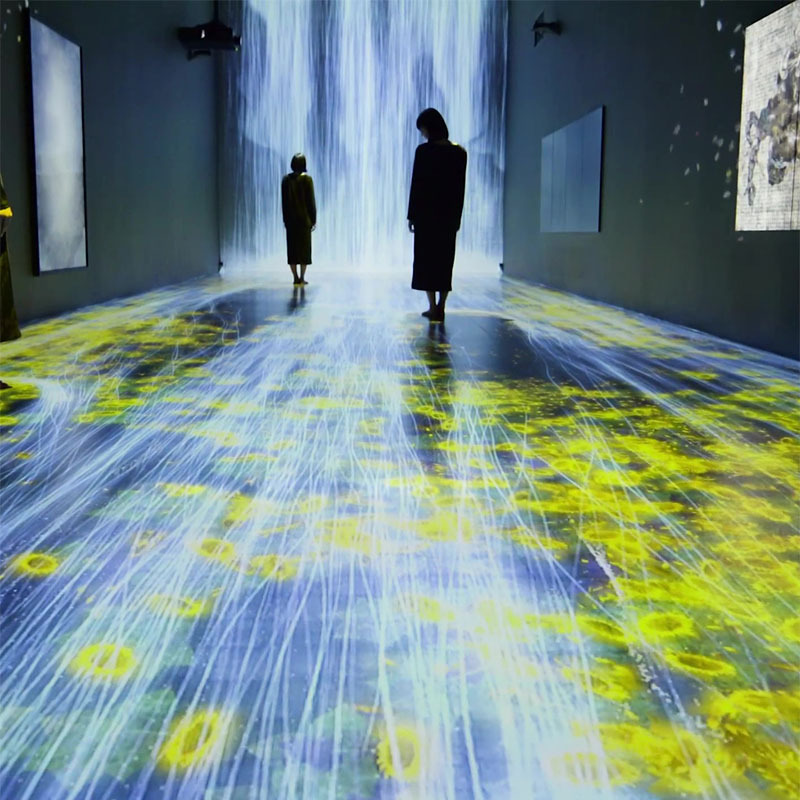 “teamLab aims to explore a new relationship between humans and nature through art. Digital technology has allowed us to liberate art from the physical and transcend boundaries. teamLab was founded in 2001, as an art collective, whose collaborative practice seeks to navigate the confluence of art, science, technology, design and the natural world. teamlab is based in Japan and brings together professionals from various fields of practice in the digital society: artists, programmers, engineers, CG animators, mathematicians, architects, web and print graphic designers and editors. Their digital art masterpieces have been displayed in London, Shanghai, Shenzhen, Singapore, Paris … as well as their home city of Tokyo. 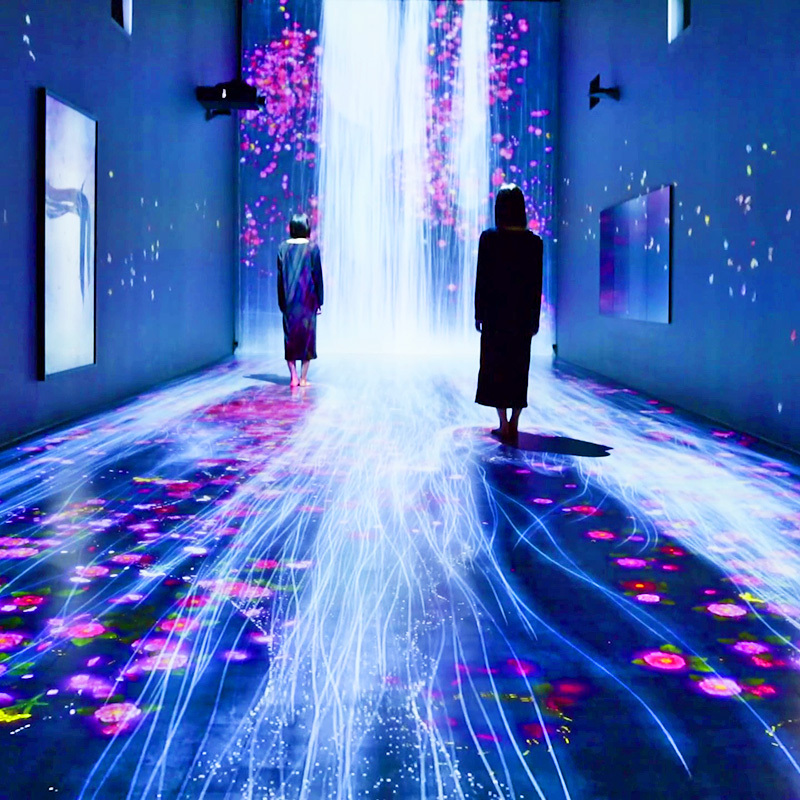 In June of 2018 they presented their permanent digital art museum: teamLab Borderless in the MORI building in Tokyo. The museum is a constantly evolving, labyrinthian network of responsive displays, interactive exhibits and hidden rewards for those who are willing to dig a little deeper. It’s a museum with two distinct sides: it’s an art experience for the sci-fi future, but still with a sense of the organic, an appreciation for nature, and a need for human influence.